I had rather a busy time recently, both with work, visitors and attending the cupcake class last weekend. So here I am again with very little in the way of tasty treats to show to you. On Friday night we ate Donal's ultimate chilli from Delicious Magazine (June 2012) with the guacamole and the tomato salsa salad also featured as accompaniments. I served it with rice and crusty bread. That went down a treat, I didn't even add any chilli to make it palatable for my grandson and served some chilli sauce on the side, but it really didn't need it. 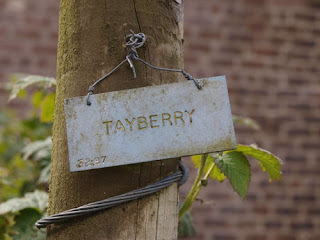 Yesterday, we went to visit Threave Gardens, near Castle Douglas. 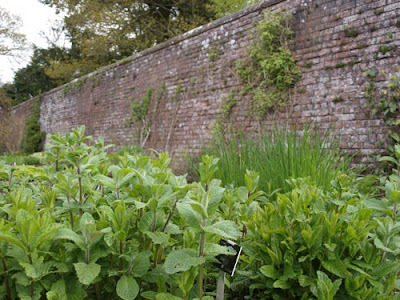 There is a lovely walled garden, it's a little bare at the moment but with promise of things to come. The glass house is a little more fruitful, we were lucky to be able to enjoy a walk around the grounds as it was a dry day and not too windy or cold, unlike today! 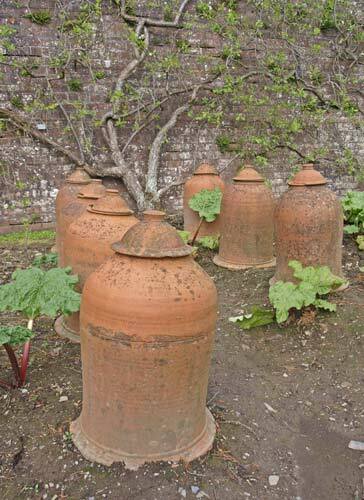 In the walled garden I saw these lovely rhubarb forcing pots. They look so attractive sitting over the pale stems of rhubarb, while it tries to escape through the ground to reach the light, popping up round about the pots. There were also many apple trees, standard ones and also those which had been espaliered along some wires, plenty of blossom, so hopefully a good apple year. 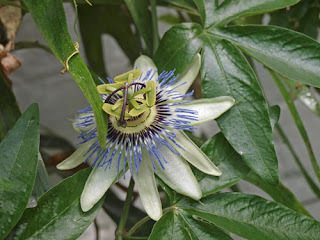 Inside the glass house, I spotted this passionflower, high up on it's vine. I had to hold the camera up and guess, it took a few goes to get this shot, but I think it was worth it. Another area of the garden which was growing well, was the herb garden. There was fennel, oregano, chives and mint, all looking fresh and delicious. 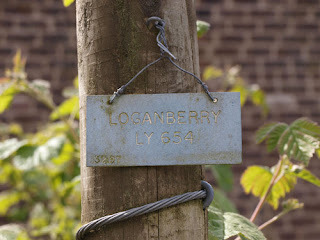 On our way out of the walled garden, I noticed these little tags showing the various berries that were grown in the garden. 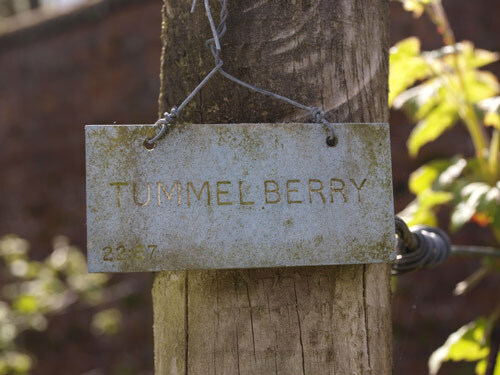 I thought they looked so good and I'd love to try all these berries. Particularly when I saw the tag for 'Marionberries' which I'd seen mentioned on the White on Rice blog just last week, I certainly didn't expect to see them locally. 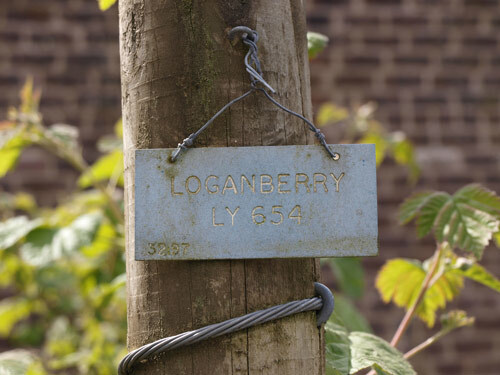 The Loganberry is also a cross between a blackberry and a raspberry but resembles the blackberry more than the raspberry. The Boysenberry is a cross between a raspberry, a blackberry AND a loganberry! 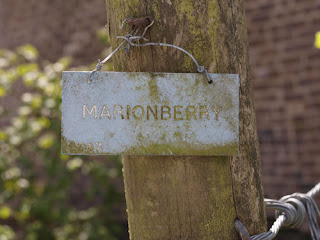 The Marionberry is a Marion Blackberry, a hybrid cross produced mainly in Marion County, Oregon, USA. A Sunberry is a hybrid cross between two members of the nightshade family, Solanum villosum and Solanum guineense. I'll be back soon with some cooking, I created a sort of faux mousakka tonight with all the leftovers from the weekend, so will be sharing my 'sustainable' cooking with you shortly. Hope you enjoyed the excursion to Threave Castle and it inspires you to find some different sorts of berries. Brilliant! 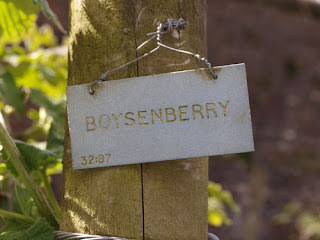 I have always wondered about those strange named berries. 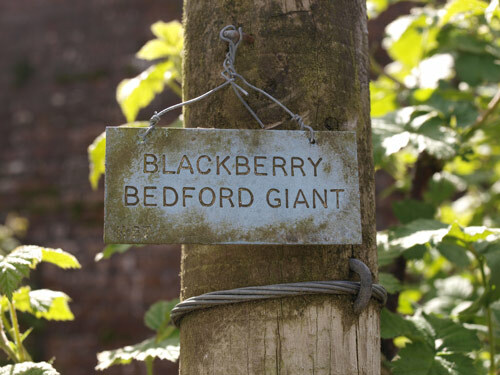 What a wonderful garden, must make a visit sometime. 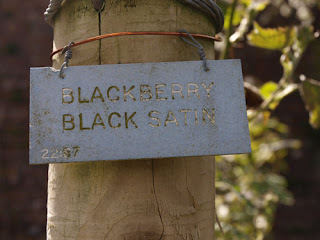 Oh, you'll have to go back when the berries are ripening and show us some more pictures!! 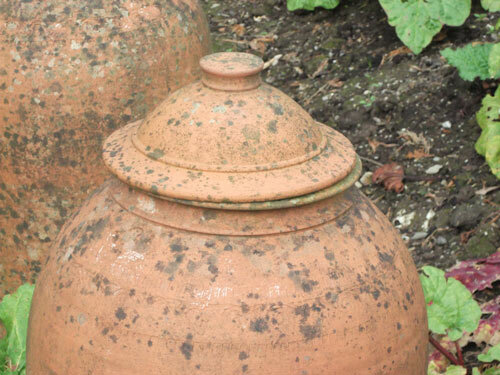 I love the rhubarb cloches. Great post Janice. 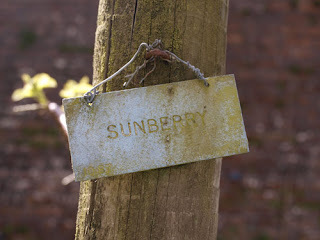 Loved learning about the different types of berries - I have only heard of a couple so thanks for sharing! 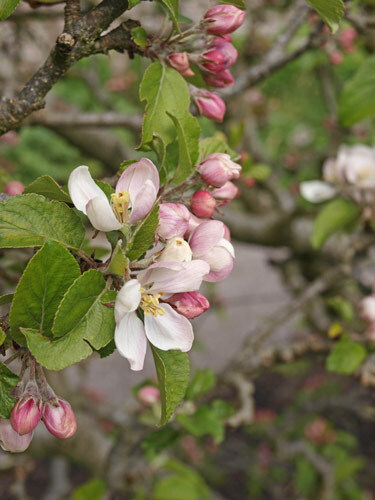 You've captured some lovely shots of the flowers too! 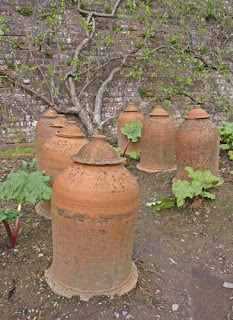 Oh Janice I want one of those Rhubarb forcing pots, although I'd make do with two!!! Aren't they lovely. You've taken some great pictures. I've never heard of Marionberries.